I am very excited to announce that I will soon be offering affordable, high quality kettlebells through this website! The new kettlebell emporium will be opening in August 2009 and for you, dear readers, there will be introductory special offers and promotions, so watch this space!! I have linked up with the lovely people at Wolverson Fitness who are very generously sponsoring my kettlebell content. I genuinely couldn’t do this without them. I first came across Wolverson Fitness kettlebells at a Crossfit Reading kettlebell workshop (see the review here) and was very impressed with the quality and useability of the ‘bells. But importantly, these were great kettlebells at a reasonable price. Anyone who has tried to shop for a kettlebell knows that there is a wide range both of price and quality available. Personally I found it all quite confusing so I was very happy to find a product that was both affordable and great quality. When I got in touch with Wolverson they were enthusiastic about getting involved with gubernatrix.co.uk. It’s great to work with a company that sees the benefits of supporting the functional fitness community as well as just, you know, selling stuff. 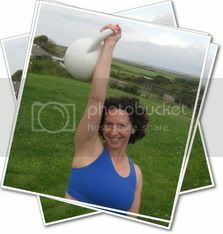 So loads of kettlebell fun to look forward to this summer. Remember, there’ll be introductory special offers, so start writing your wish list now! Sorry folks but we can only ship within the UK mainland. would there be any gubernatrix discounts? i’m looking for some kettlebells and would love to get me some to train with over the summer. Yes, there’ll be some great limited-time deals to celebrate the opening of the new shop! I’ll post the details when it is up and running. woop woop. will definately be ordering them from here. god help my postman or whoever it is thats gonna be delivering it. Pity you won´t be shipping to other EU-countries. I guess the shipping fees would be too high. Yes, with such a heavy item it is probably cheaper to get them in-country. However I’d certainly look into shipping them abroad on a case-by-case basis if individual customers needed this. Thanks for spreading the word. This really is the best deal in the UK at the moment for a quality ‘bell that will last a lifetime – but the offer is only on until 10th September!